" We are optimistic our target set at Rp 100 trillion could be achieved by the end of this year"
Along January-June 2018, total investment in Jakarta that has been realized is reaching Rp 49 trillion. It is targeted to reach Rp 100 trillion by year-end. Edy Junaedi, Head of Investment and One-Stop Integrated Service Dept. (DPM and PTSP) said this year's investment is increasing up to Rp 1 trillion or higher than last year. 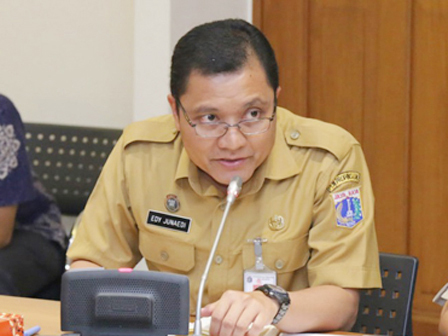 "In the first semester, we have hit Rp 49 trillion, this is higher than the same period last year, which was Rp 48 trillion," he expressed, Tuesday (7/17). To attract investor, Jakarta Provincial Government is going to inaugurate Jakarta Investment Center (JIC) on July 31, 2018. It is as an information center and investment promotion. "So, every investor who wants to join just comes to JIC. We are optimistic our target set at Rp 100 trillion could be achieved by the end of this year, as there are many investors have processed the principle permit to be executed in August," he said.